I am SO thankful that ballet flats came back in style a few years ago. I'm terrified that they're going to go out of style soon (doesn't everything). In the meantime, I'm taking full advantage of flats and I only put heels on my feet once a month------- or so. I love it. I spend half my day chasing after overactive children and the other half testing children in a preschool sized chair. Who needs heels? Life is good when you can wear (stylish) flat shoes. I concur!! Thank goodness for the flats! Right on! I hardly ever wear heels, at almost 6 ft why bother! Flats are my best friend and I will cry the day I'm told they aren't cool anymore! I hope they stay in style too, because they are so comfortable. When I do wear heels, I never go above 3 inches. I too love flats, they are more realistic for me than wearing heels all the time. Plus there's so many cute styles these days. I never wear heels, I am tall enough without them! 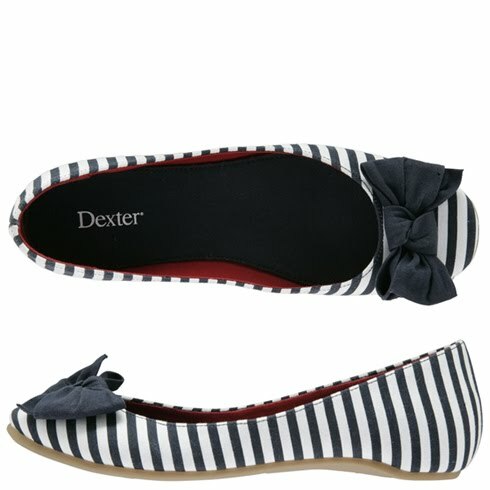 I love flats and will wear them whether they're in style or not! The ones you posted are too cute!